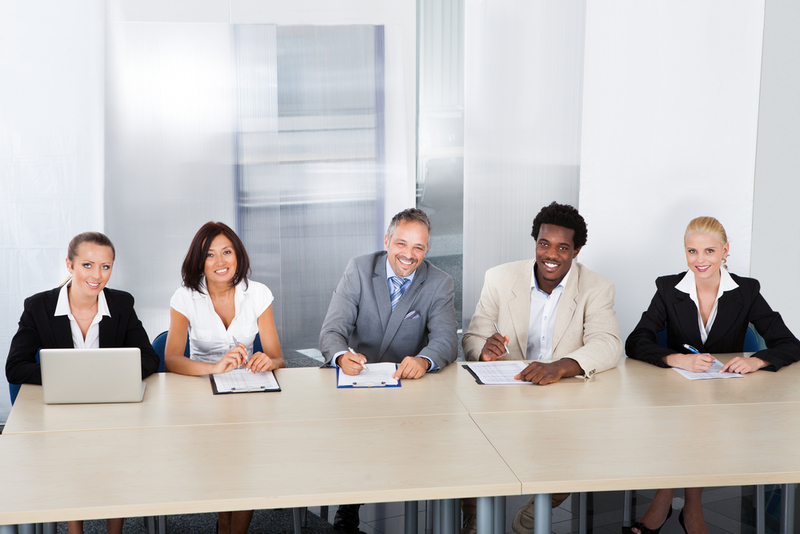 The role of the search committee in an executive search is critically important. This committee has the responsibility, and often the authority, to make a decision that will shape the institution’s direction and future. Yet many search committees don’t spend the time or get the support they need to ensure that they are fully prepared for the significant responsibility assigned to them. Based on my experience in working with more than a hundred search committees, here are four tips to help you step-up to your role as a member of the search committee. Invest time in ‘forming’ the committee– a search committee is typically formed for the express purpose of conducting a particular search and often includes members that don’t work together on a regular basis and that may not even know one another. Like any team, a search committee needs to go through the natural stages of team development – forming, storming, and norming – before they really start performing. Investing time in the first committee meetings to get to know one another, to discuss how the committee will work together and to agree on how decisions will be made will pay huge dividends later in the search process when tough conversations are had and difficult decisions need to be made. Ideally, you want your search committee to be able to function such that they can come to a unanimous decision giving the new leader strong support as they begin their new role. Understand your role, responsibility and authority- while your membership on the committee may be based on a recommendation as a representative of a particular stakeholder or interest group, be clear about where your responsibility back to this group ends; and where your responsibility to participate and provide input and feedback that benefits the institution as a whole takes precedence. A well crafted terms of reference for the search committee can clarify roles, responsibilities and authorities and significantly improve the effectiveness of the search and the experience for the search committee members. Maintain confidentiality– depending on the industry, it is not unusual that you will either know one or more of the candidates or that you will have a colleague in your network that does. As tempting as it may be to use your network to gather additional information about candidates, even the most innocent comment can result in a breach of confidentiality. Cocktail conversation between a search committee member and a colleague on Saturday evening can result in a candidate being asked about their connection to the search committee member on Monday and a call from the candidate on Tuesday with questions about the integrity of the search process and the institution. You might also get asked by your peers for updates on the progress of the search. Again, innocent comments about the number of candidates, whether there are internal candidates or how the committee is feeling about the search can easily take on an unintended life of their own – and can be damaging to the search when the information starts to get back to candidates who wonder what else is being talked about. The best strategy as a search committee member is to keep all information about candidates and the search process confidential. Search committee Chairs should ensure that there is a formal communication process that will update stakeholders predictably and appropriately so that committee members are able to point to this and remain silent otherwise. Focus on the goal not the process – making a decision as a group, particularly as a newly formed group, can be complicated. In the early stages of group formation, we can easily get caught up in trying to figure out the group dynamic and lose sight of the purpose of the group. It is fascinating, for example, to watch how the conversation of a search committee can become distracted or redirected by comments on the format of a résumé or a candidate’s choice of a few words in an interview. Similarly, I have watched committees let great candidates slip through their fingers as they stayed strictly focused on their pre-set interview questions without taking the precious time in an interview to ask follow-up questions to probe the issues they were most interested in. As a search committee member it is important to remain conscious of the tendency to get caught up in the process and important to focus on the intention of the committee. Being a part of a search committee is serious business. By investing the time, paying attention to these strategies and remaining committed to the intention of the work, you can improve both the results of the search and your experience as a search committee member. Anna is a Partner and Vice President with Knightsbridge Robertson Surrette. She leads the firm's academic and public sector executive search assignments and leadership solutions practices. Anna’s consultative style and pragmatic approach has delivered exceptional results to a range of organizations and leaders across the region.